River Painting Trip: Post 3 - catch that light! 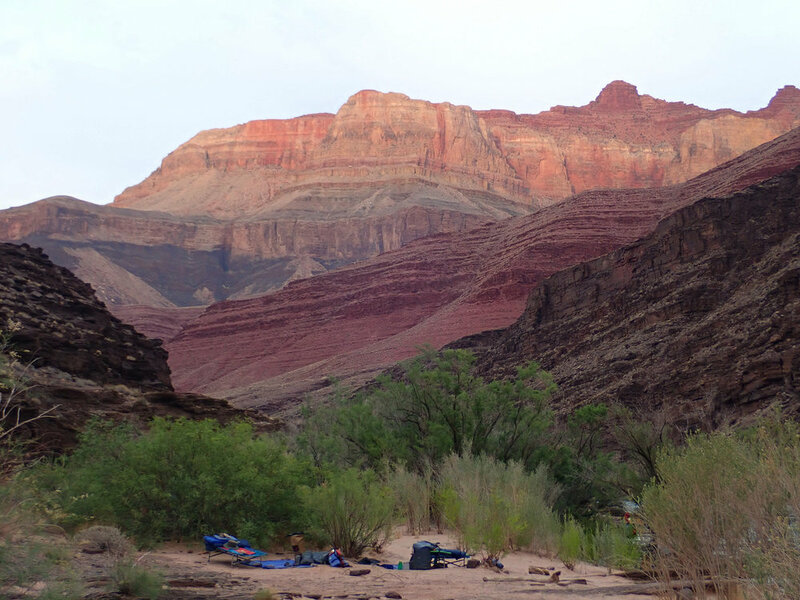 The biggest challenge for me on the Colorado River trip was feeling rushed when painting. The light and the colors were amazing... and then it would change. Quickly! The canyon is only so wide and walls very, very tall - so as the sun rises and slips into the canyon, it changes minute by minute - much more obvious too than when painting a scene across a field or mountain or plateau or seascape. Also, we just woke up! I'm not exactly a morning person so making decisions as to where to paint (so many options! ), what to paint (the grand view? the flowing water over an interesting rock? that cantaloup pink wall? a little cactus with just ripe red fruit beginning to appear?) and then setting up gear and making a sketch/value study and then painting - all with about an hour to an hour and a half. Well, for me, this was great exercise because each painting opportunity was like a 'quick draw' at a plein air event. Having to make decisions + see + commit + paint in an hour and half was GREAT EXERCISE. I think I was the only artist to make a sketch and quick value study! Maybe that was a waste of time in this situation?? A layered view of completely different colored canyon walls! And on the subject of color. I, I suppose, am a colorist. One of the other artists would stop by each day to see what I was doing and say 'how is our resident colorist?' - I SEE the color. The walls of the canyon are geologically different colors. There are deep burgundies and nectarine oranges, layers of golden straw and chunks of blue black. 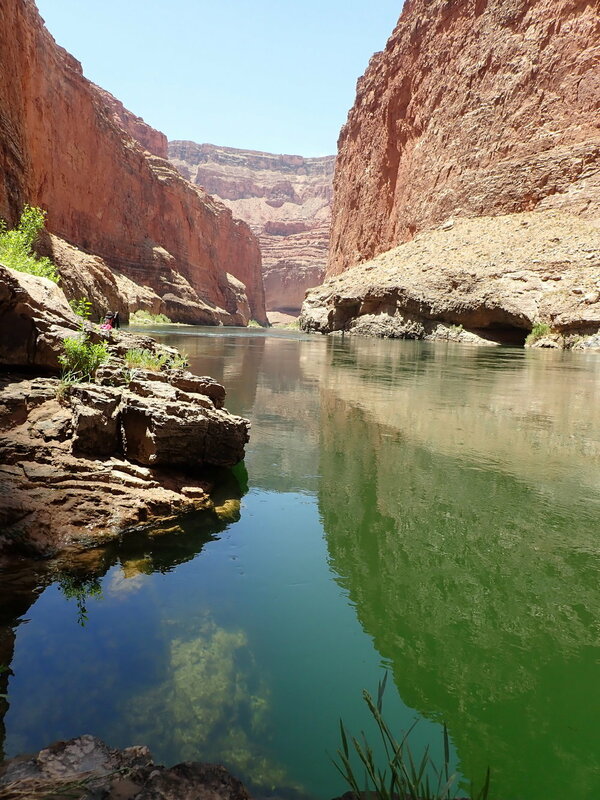 All of this, with the bright blue sky and shadows as the river bends gets reflected in the emerald green water of the Colorado River. It's almost overload if you SEE color. I am surprised when an artist depicts the canyon and river in muted tones because I don't see that at all. I'm nearly drunk from the color, I must be a hummingbird. Look at all the amazing colors reflected in the already green water! Orange canyon wall on the left, soft peach and yellows on the right and lavender and blue in the back... color everywhere!